This study developed a model linking maternal and offspring antisocial behavior, with particular emphasis on whether this link is especially strong in teenage mother–child dyads. Data were taken from a longitudinal government dataset; structural equation modeling and invariance testing was used to test the hypotheses. Good model fit indicated that maternal and offspring antisociality are linked, and antisocial behavior persists across childhood, but that these relationships are not dependent on the mother’s age at primiparity. These results suggest that although maternal behavior predicts offspring antisociality, being the child of a teenage mother is not an independent risk factor for the development of antisociality. 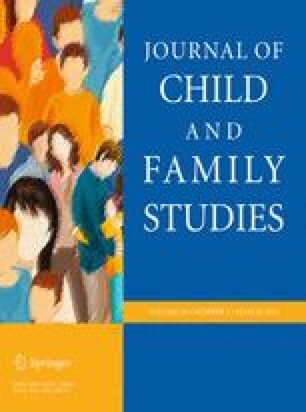 Given that mothers in general tend to transmit their antisocial behavior patterns, intervention for antisocial behavior patterns in females before or during adolescence should contribute to a significant lessening of not only their own behavior problems, but also the incidence of antisocial behavior in their future offspring. Cheung, G. W., & Rensvold, R. B. (2002). Evaluating goodness-of-fit indexes for testing measurement invariance. Structural Equation Modeling: A Multidisciplinary Journal, 9, 233–255. http://dx.doi.org/10.1207/S15328007SEM0902_5. U.S. Census Bureau (2010). Table S1. Median household income by state: 1969, 1979, 1989, and 1999. Retrieved June 6th, 2012 from http://www.census.gov/hhes/www/income/data/historical/state/state1.html.